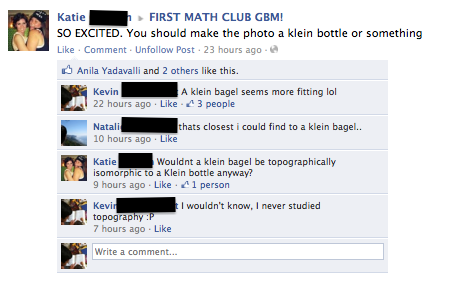 They believe topography is a math course. Thanks to Dread Pirate Loki for this submission. ← Let’s Go To The Races! A homeomorphism is an isomorphism in the category of topological spaces. So saying that they are topologically isomorphic is correct. The terminology just isn’t exactly standard. No fail here. Kevin was making a joke. @Dread Pirate Loki…. social fail!